Our technicians have more than 40 years of combined experience. We offer some of the lowest prices for water heater services in the area. 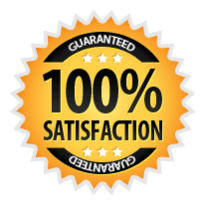 All of our work is backed by a 100% satisfaction guarantee. a pilot light that keeps going out. Our technician will diagnose the problem and provide you with a written estimate letting you know the cost of your repair. If your current water heater is more than 10 years old, a high-efficiency replacement Navien water heater may help you save up to 20 percent on energy costs. Our installation experts can help you find the right unit for your family’s needs. Or, click here to schedule your Navien water heater repair service online. Navien offers some of the industry’s strongest warranties, including up to five years on parts and up to 15 years on the heat exchanger depending on the model. Tankless water heaters last longer and are more efficient than conventional models. Navien water heaters have a sleek, clean appearance and a user-friendly control panel. Navien tankless water heaters take up about 80 percent less space than a conventional tank-style water heater. Although it is easy to overlook your water heater until there is a problem, regular maintenance is the best way to ensure that your water heater performs safely and efficiently for years to come. We recommend that homeowners have their water heaters inspected at least once a year. With our affordable Swan Club Membership, our technicians will inspect your water heater as well as your home’s HVAC and plumbing systems annually. The membership also entitles you to priority scheduling for emergency repairs and discounts on repairs and installations. Visit our Swan Club page for more information. For more information about our Navien water heater repair or installation services, call today or use our convenient online contact form.